So in case you haven't noticed, I've finally started plastering my new logo on ALL THE SITES. I probably agonized over this for way too long. 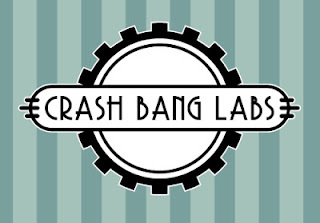 After deciding to keep the name "Crash Bang Labs" until further notice (I realized while "Smart Pumpkin" was an awesome name.... I did NOT want an orange booth all year round), I wanted to refine the image so it would appear better on things. Namely, that pesky spool of thread had to go. It was cute, and I DO sew things, however, that's not what my art business is really about. I draw comics and pictures, and want to sell books and the like. It also turned into a giant BLOB of ink when I would shrink it down for things like business cards. Not good, I say, not good. I don't know what's happened lately I blame having a convention finally appearing in a little over a month but I've been on a drawing spree. Which has been AWESOME, cause I've been stuck in a rut forever. I'd be so lost without that color chart! I hope to start picking back up on Sky's End itself, as you can see from the picture above. I'll have to honestly admit, that the holiday season thoroughly destroyed me physically and mentally (and I didn't even get a cold through it either), and I think I just didn't have much willpower to do ANYTHING creative. But now, now, I have the artist alley drive as things ramp up for the convention season. That, and I realized that my booth hasn't changed much in several months, so it's time for some new products! I'm also getting some new business cards and promotional cards for the shows as well. And who knows? 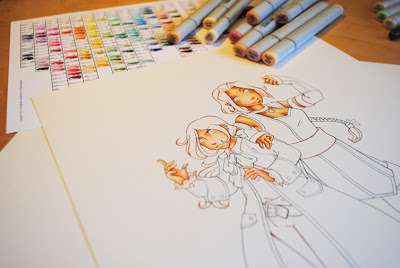 Maybe I'll start back up my HOW DO I ARTIST ALLEY series of posts. Seems plausible. In which I babble a lot about art. 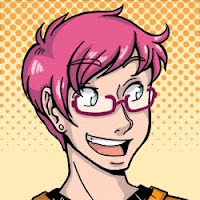 Shuto Con isn't until the beginning of April, but I do have some fun news for you! 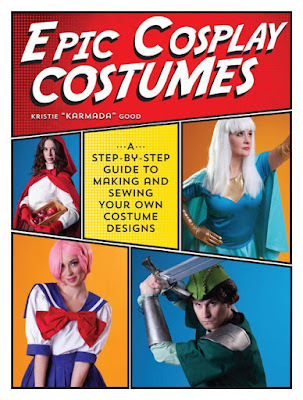 I will not only be co-presenting on 3 cosplay panels with a cosplay cohort of mine, but I am also providing the service of THREE BRAND-NEW ART-BASED PANELS! That's right. ART. PANELS. I think this is something that is sorely missing in the convention world, espcially with how much I see people drawing at them! Be it in the alley or otherwise. So I'm going to start giving art and comic based panels and see how they go. 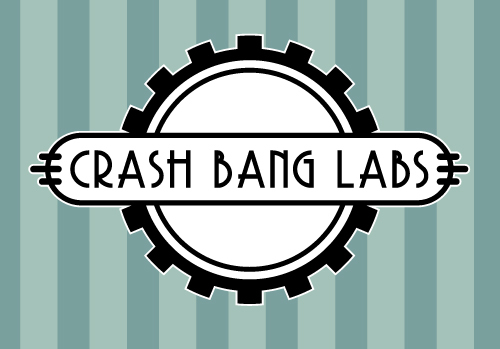 Did you know Crash Bang Labs has a facebook page? 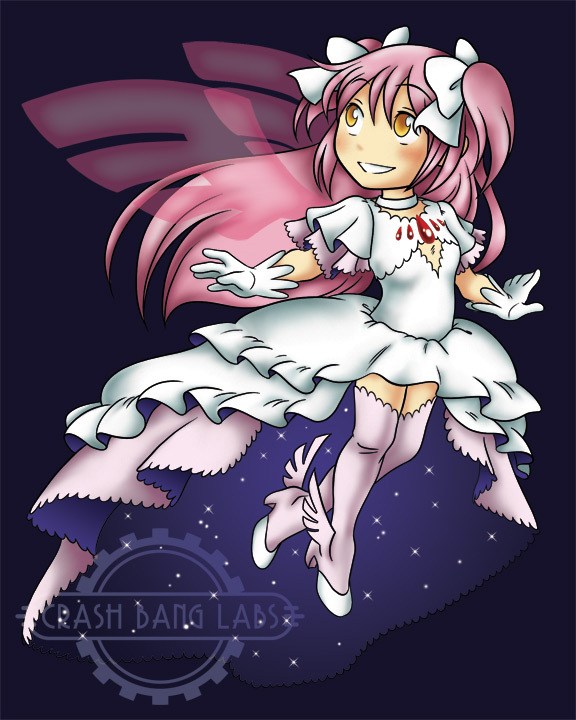 I'm working on promoting more stuff on there, and actually updating people on what I work on and conventions I go to. It's apparently what all the kids are into these days, so I caved and decided that yeah, I guess I needed to do it. Otherwise, I tend to hide on Facebook (too much drama from long ago has burned me on the site, so I keep my personal stuff to a minimum).